This entry was posted in Uncategorized and tagged Amazon, ramblings, shopping, Spock, Star Trek, technology, The Walking Dead by Peg Stueber-Temp and Tea. Bookmark the permalink. I just love the occasional randomness you afford us! I’m going to have to check out the Walking Dead. All this time I always thought that was my staff at work. 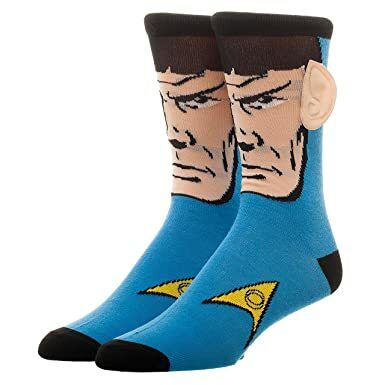 All this time I’m pretty sure I’ve done well without Spock Socks. But…the ears! they stick out from the sock – just enough to rub against your pant leg and be irritating! And, at the T&T – anything can become blog fodder 😀 Remember the Twister pants? We’re just finishing up the tail end of season 8, and will probably go to the spin off (fear the walking dead) when we’re done. I thought you were gonna talk about actual boxing of ears. You know, two hands upside someone’s head just about the ears. No one does that anymore. It truly hurts. 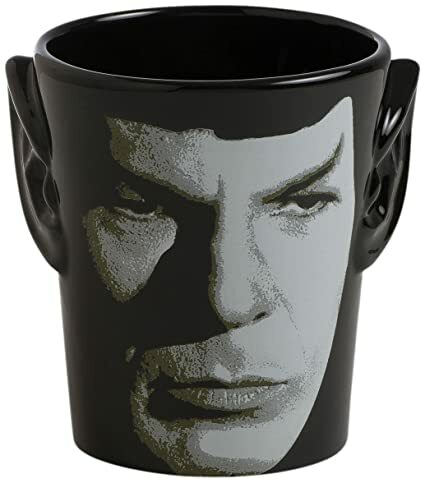 Probably why… ^_^ Also, I need a Spock coffee cup in my life. I don’t know why. Sometimes, it’s best to not ask why certain objects come into your life, just go with the flow. Season 2 and 3 were my favorites. Hated 4, not a Governor fan. 5 was awesome if you can get past the shock of Terminus. 6 and 7 were…meh, but compelling enough to keep watching, same with 8. I’m fatigued by this show but addicted ,(in case you can’t tell 🙃) so I’ll likely tune in again for 9.